Join in by posting pics and videos with the hashtag #AsiMiDiaEnRivieraNayarit and win one of five swag bags sponsored by the Riviera Nayarit and the Destination’s hotels. The Riviera Nayarit Conventions and Visitors Bureau and its Marketing department invite you to participate in its 5th official Twitter Party, programmed for Friday, July 29, 2016 from noon until 2 p.m. This happening party is all about promoting the Riviera Nayarit during the summertime, when its hotels are at full capacity. 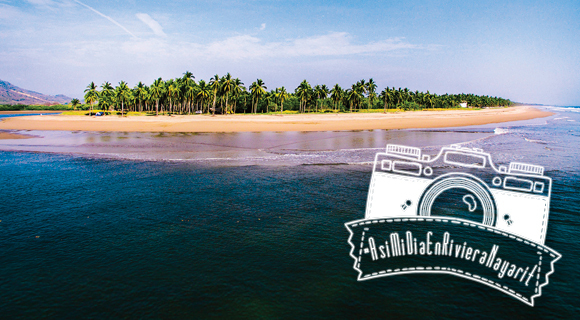 The idea is for visitors already in the Riviera Nayarit to share their photos and videos with the hashtag #AsiMiDiaEnRivieraNayarit on their Twitter accounts. At the end of the exchange the top five Tweeters in the Twitter Party will receive a swag bag prepared by the Riviera Nayarit and local hotels. Establishments from the hotel associations of Bahía de Banderas, Compostela and San Blas will participate from their locations through their own social media feeds. The party will be on the Riviera Nayarit’s Spanish Twitter feed @RivieraNayarit and in English @Riv_Nayarit to encourage participation of both locals and foreigners.